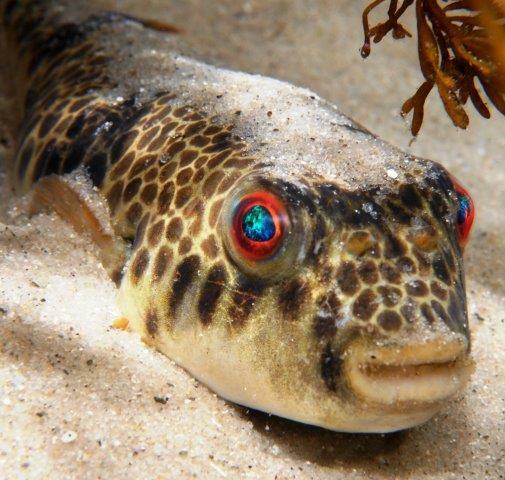 Photo of a Smooth Toadfish Blind in One Eye | Marine Life Society of South Australia Inc. In 2014, David Muirhead wrote an article titled “Opalescent Eye of Toadie – Reflecting on refracted light” – see http://mlssa.org.au/2014/08/11/opalescent-eye-of-toadie-reflecting-on-refracted-light . 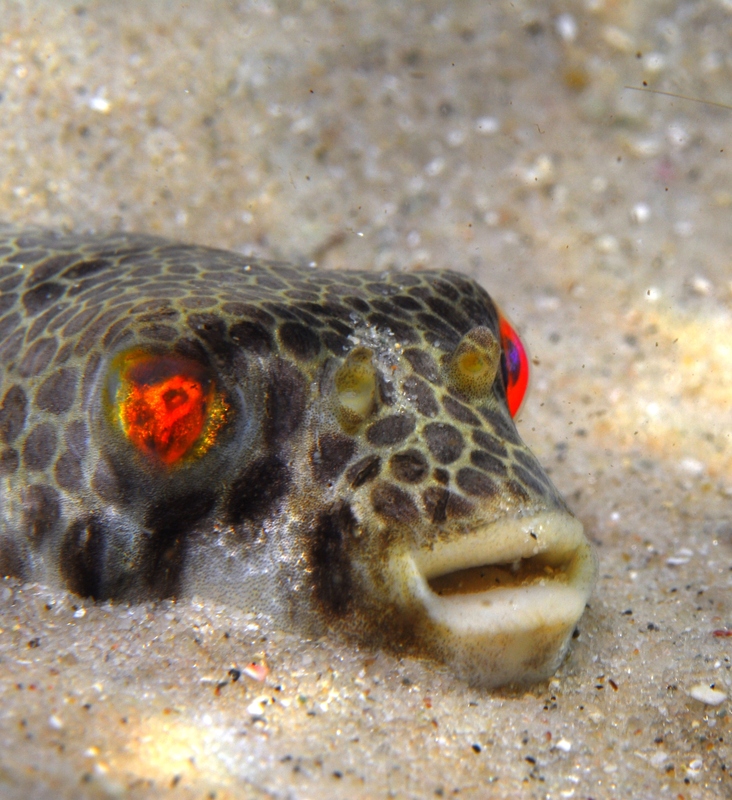 David had been able to stay close to the blind right eye of the toadfish and photograph it without disturbing it at all. It soon swam off though when I approached it front on (or closer to its good left eye).